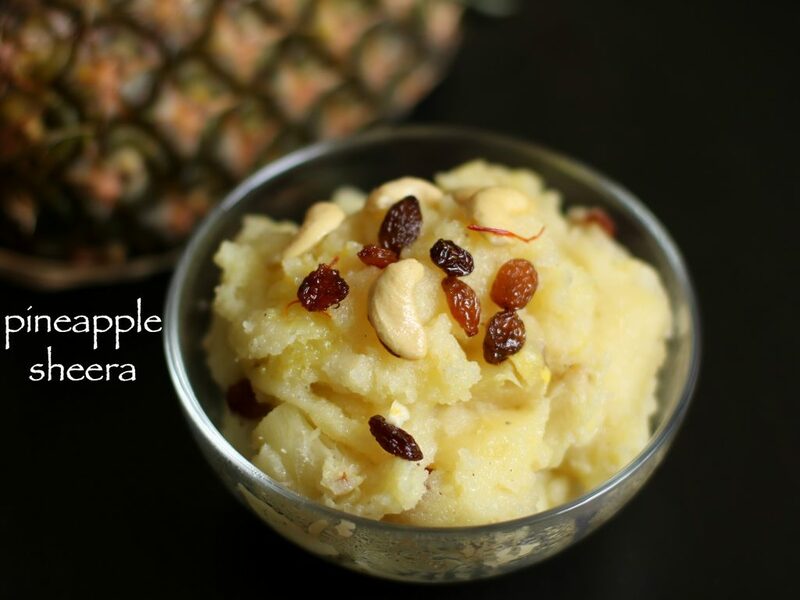 pineapple sheera recipe | pineapple suji sheera recipe | pineapple kesari with step by step photo and video recipe. 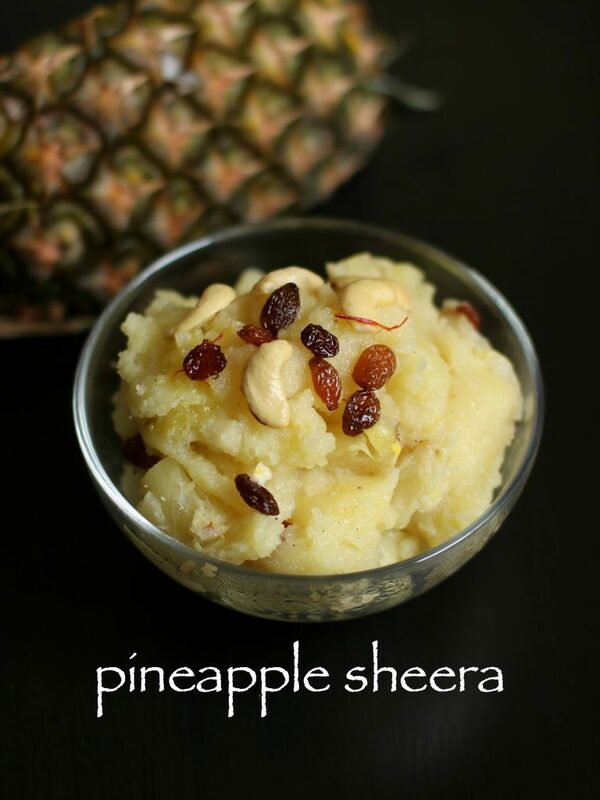 my husband loves the sheera with chunks of pineapple. it is also popularly called as suji halwa, sajjige halwa, kesari, kesaribath, pudding or ravakesari. basically, pineapple slices are added to rava kesari to give the pineapple flavour. this combination, is served as breakfast in many south indian eatery. 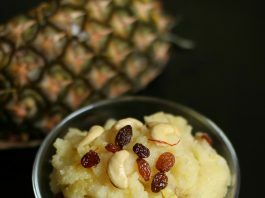 pineapple sheera | ananas sheera | pineapple suji sheera is quite popular in the karnataka hotels and marriage functions. this is served with either idli vada or with upma for breakfast in marriage halls. this is my mother’s favourite recipe too. she prepares this recipe quite often for our daily breakfast. also, we popularly call it as pineapple kesari bath or pineapple rava kesari. kesari is saffron colour. we can use saffron or any artificial kesari colour. you can also make without adding any color and it still taste great. my mother in law prepares sheera in milk and it taste divine. few like to add fruits like banana, apple, mango in sheera. however i am not big fan of sweets so haven’t tried anytime. if you are looking for more sweet or desert recipes or especially jalebi, sheer khurma, rava ladoo, carrot halwa, kayi holige, besan laddo,chocolate mug cake, mango rasayana, gulab jamun, and especially milk powder doodh peda. 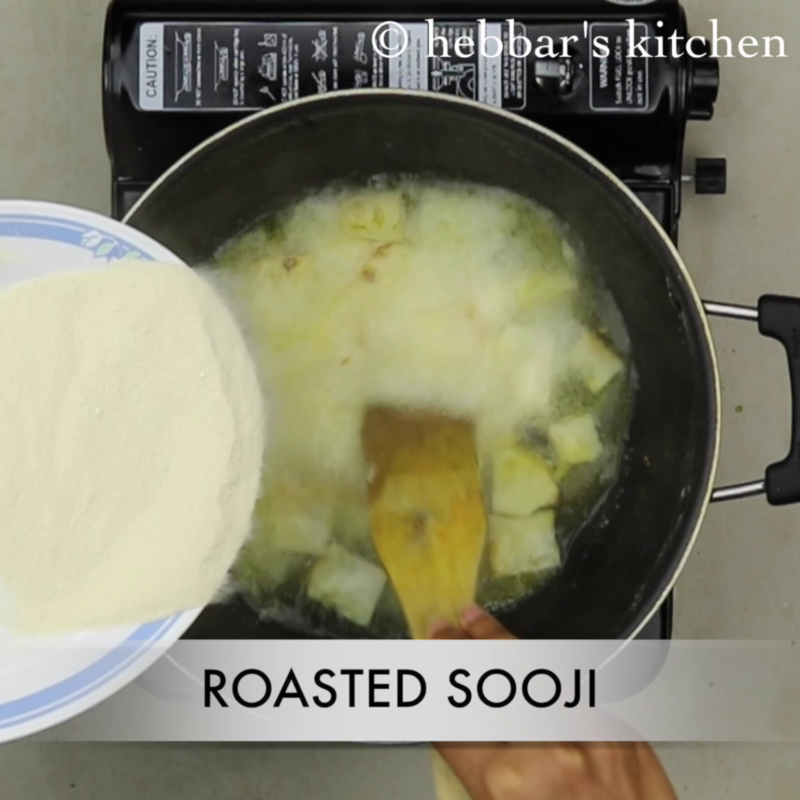 dry roast 1 cup semolina / suji / bombay rava until it start to smell aromatic. transfer to a plate. allow to cool down. 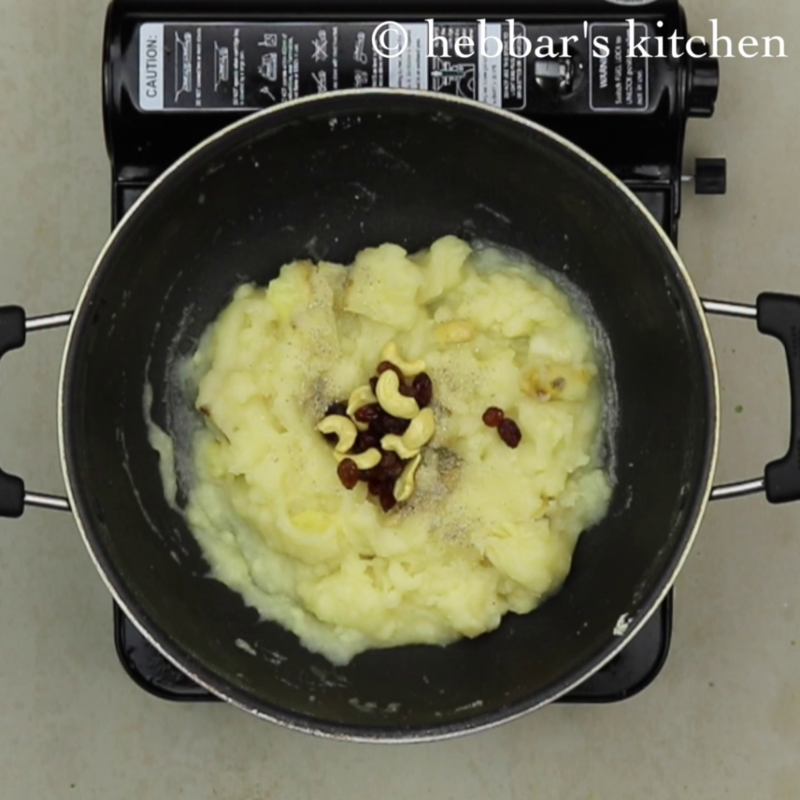 meanwhile, add ghee and roast cashews until golden and then add raisins and fry till they swell. remove in a plate and set aside. 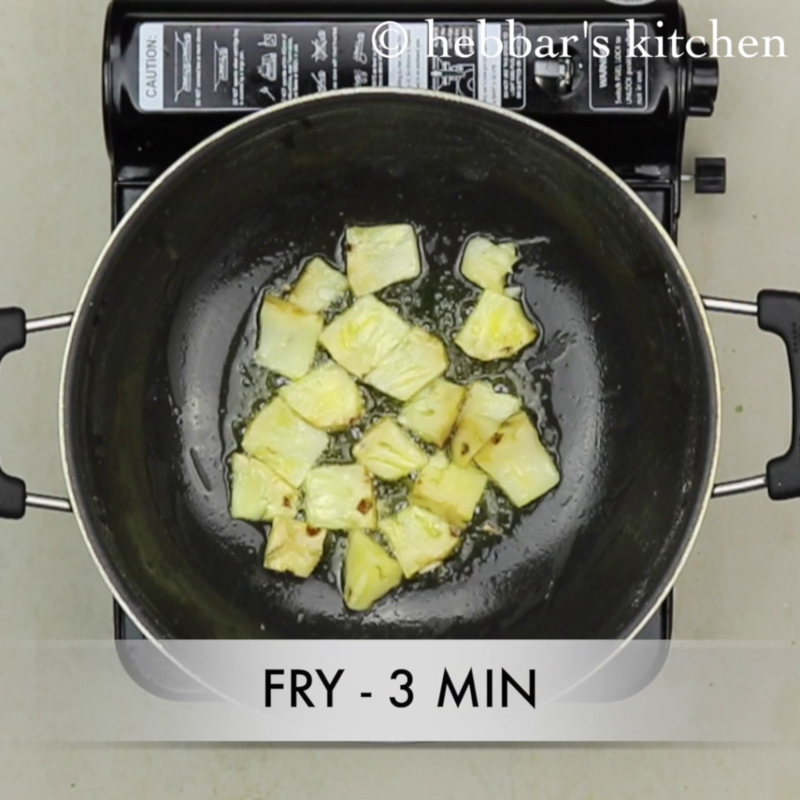 time to saute pineapple chunks for 2 to 3 minutes. 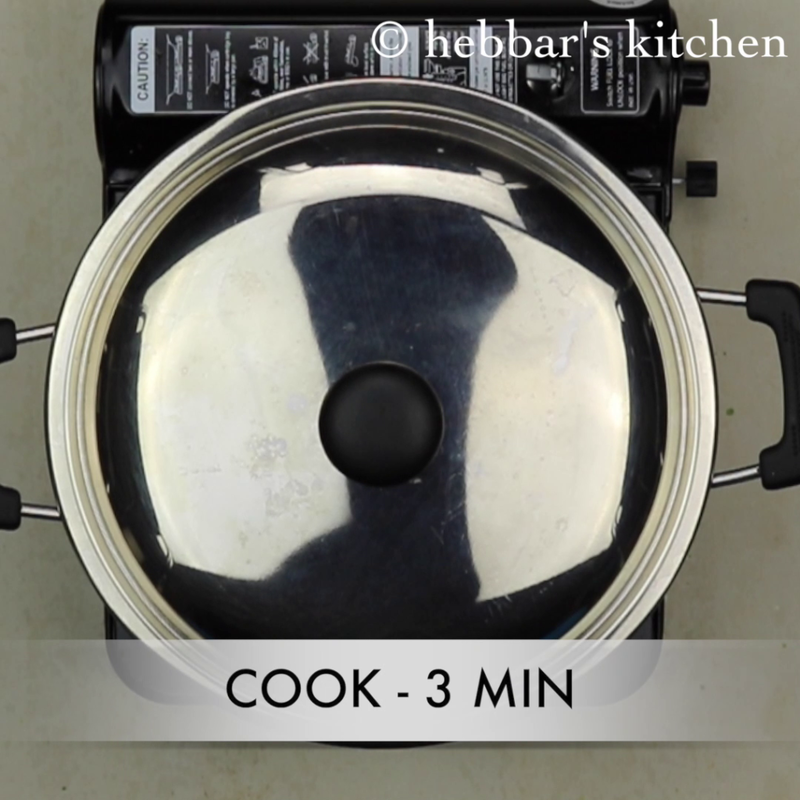 once done, add 3 cups of water and get to rolling boil. 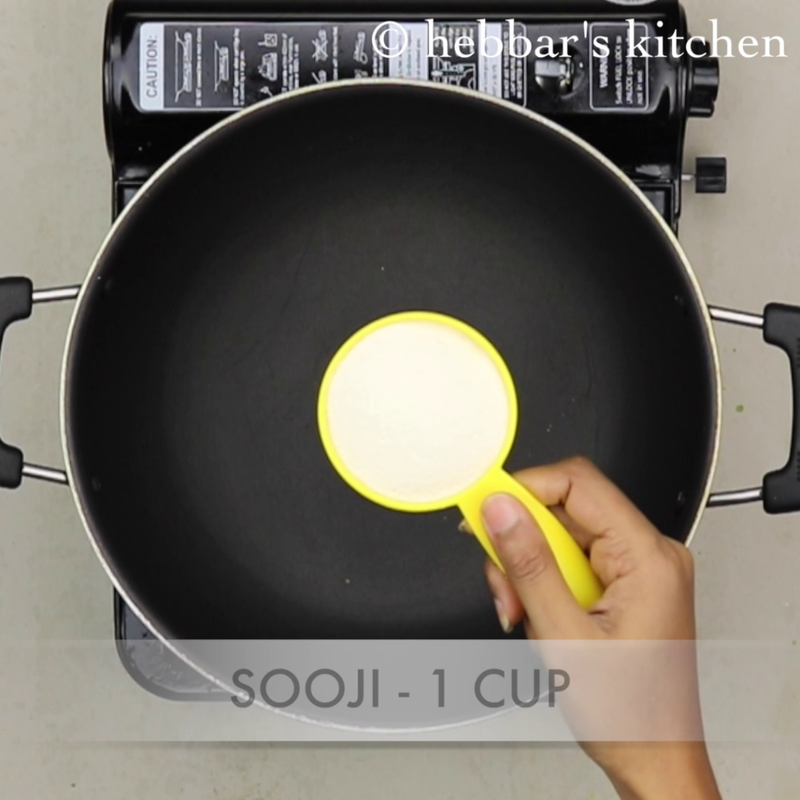 keep the flame on low and slowly add suji little by little. keep on stirring continuously. make sure there are no lumps forming. now add half cup of sugar and give a good stir. 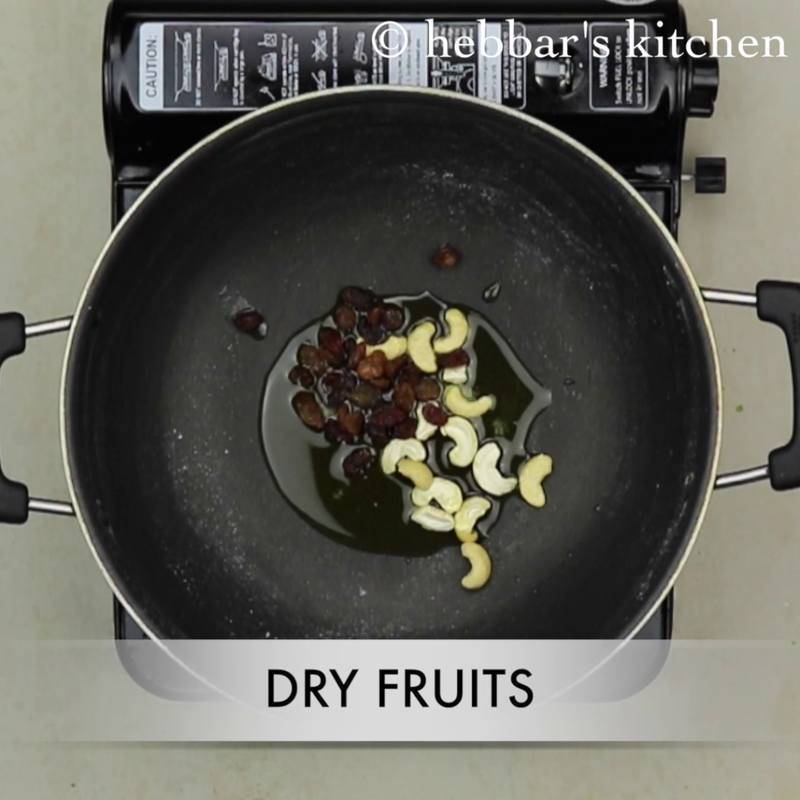 add cardamom powder and fried dry fruits. stir well. lower the flame. cover and cook until all the water evaporates. pineapple kesari taste great when served hot. it is also good when served warm or cold. time to saute pineapple chunks for 3 minutes. 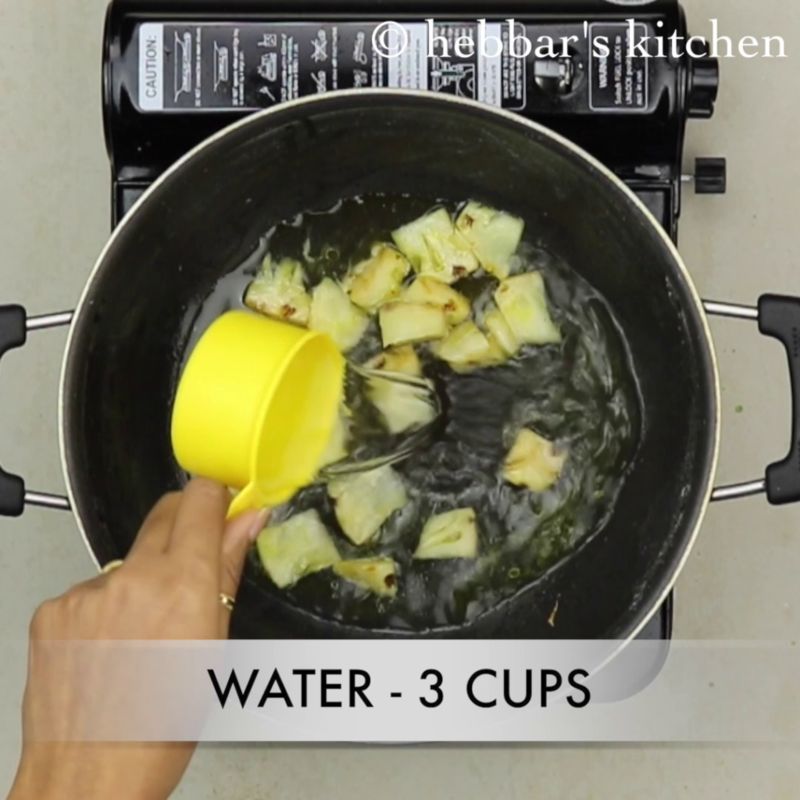 firstly, you can also blend pineapple to puree if you do not like chunks. 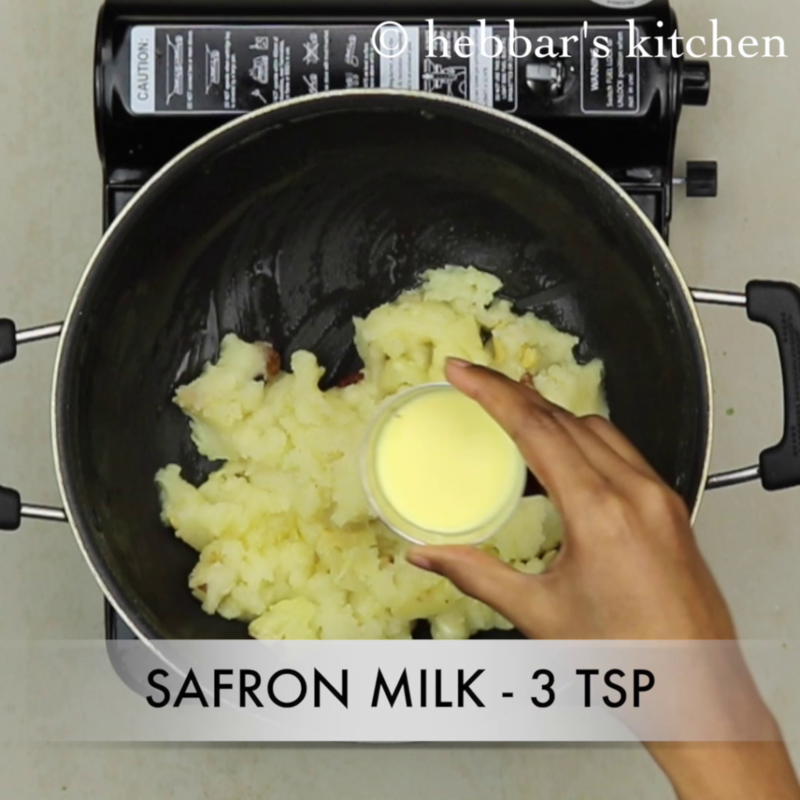 in addition, add more ghee and sugar if you are not worried about calories. finally, add pinch of food colour if you want to have a rich colour. however, i recommend to add natural colours like kesari. i guess the yeast quantity was not quite right with your dough quantity. i will try to share a pita bread soon. Please mention how long it will stay, especially for snacks. It would be helpful. it should long last for a day or two.